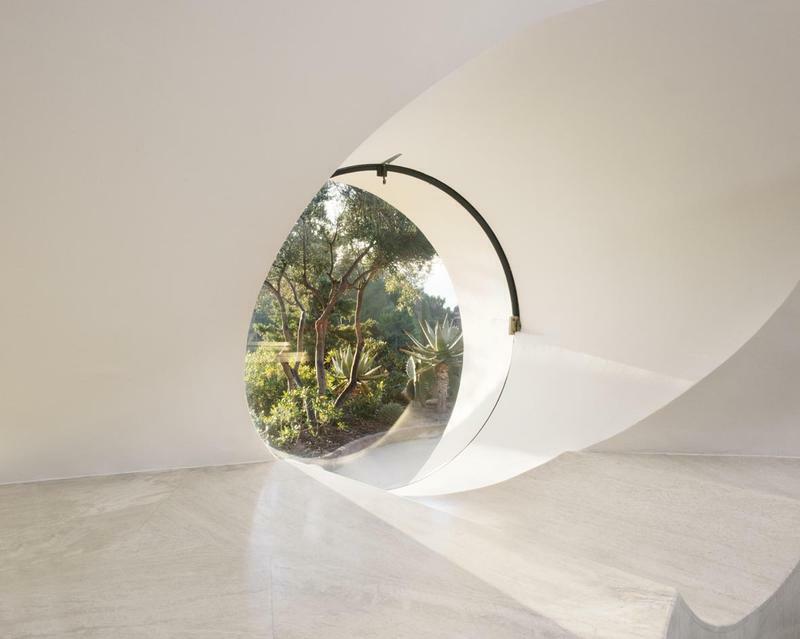 This incredible house perches on a hillside in southern France, where views of the Mediterranean Sea are visible from the many porthole-like windows that punctuate the structure. The Hungarian architect Antti Lovag designed it for a French industrialist named Pierre Bernard in 1971. Now in the possession of a foundation managed by Bernard's children, La Maison Bernard has just opened to the public after an extensive five year renovation. Before deciding on the structure of the home, Lovag chose where each room would sit and framed the views foreach window and opening. He then designed the walkways and rooms around those views, creating a structure that looks like a giant ant farm. 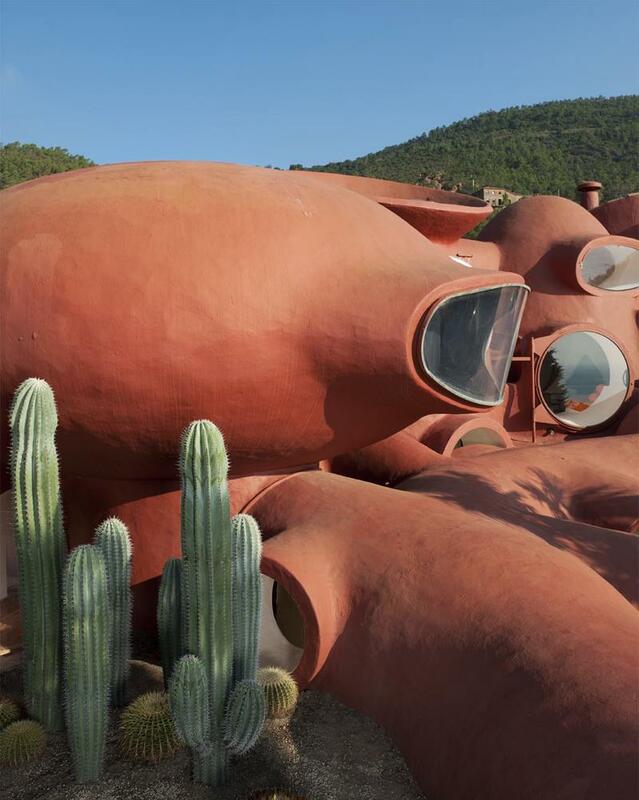 Although the Maison Bernard was the first of his designs to be built, Lovag's organic process and aesthetic were central to his other work, like the Palais Bulles, the "bubble palace" he built for fashion designer Pierre Cardin. The recently completed renovations focused on the interior of the home. 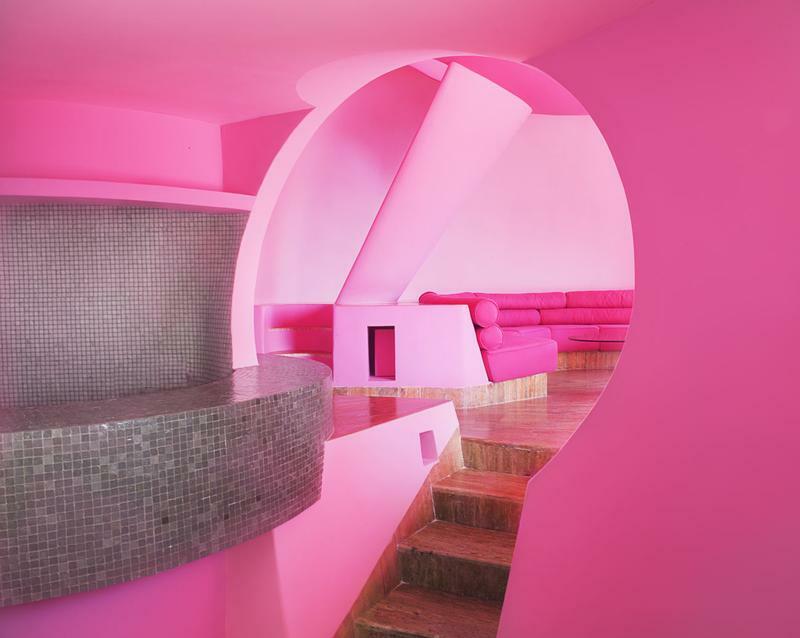 The French architect Odile Decq designed new interiors room by room, bringing the raucous color scheme from the outside of the house to the interior walls and furniture. You can see more of the incredible interiors on the Fonds Maison Bernard website, including the built-in furniture Lovag designed specifically for the home.